Spring is coming and soon visitors will be emerging from hibernation to enjoy another beautiful Alberta camping season. Not surprisingly, the provincial parks in southern Alberta offer the best conditions for spring and early summer adventures, but other locations in the province—like Alberta’s Northern Rockies and Lakeland regions—hold subtle charm and amazing experiences for hardy explorers. Castle Provincial Park is Alberta’s newest Rocky Mountain park with a vast diversity of places to discover and explore. There are four campgrounds in the park with basic services, plus a group camp area and additional rustic camping spots. These campgrounds will open in May and get you up close and personal with memorable landscapes and wildlife encounters. You can access the park on a paved highway (No. 774) through Beaver Mines, or enter the park on scenic backroads starting in the Crowsnest Pass from Blairmore or Hillcrest. Nearby, Beauvais Lake Provincial Park is open year round and offers power hookups at over half of its campsites. This is a great base camp for exploring the pristine lakes, rushing rivers and beautiful waterfalls of the area, or stay in the park to hike a variety of trails around the lake and up into the backcountry. 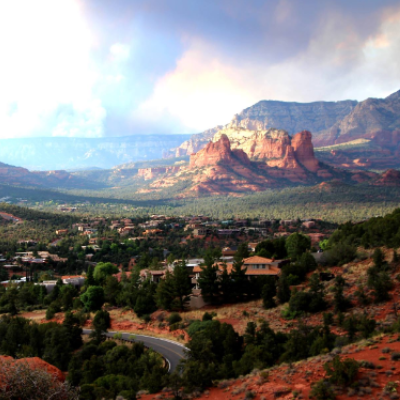 If you’re looking for a scenic tour of the southwest, travel the Cowboy Trail (No. 22) to Chain Lakes Provincial Park. This prairie park alongside the Chain Lakes reservoir is open year round and offers many water activities, including fishing for rainbow trout. Willows, abundant in this oasis, provide privacy between campsites. 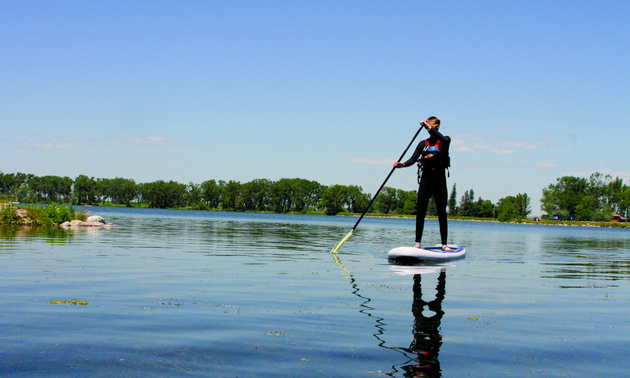 Round out your southwest tour with a visit to Park Lake Provincial Park just north of Lethbridge. One of the first provincial parks, Park Lake is a charming lakeside park with a small forest of shady trees planted by volunteers when the park was brand new in 1932. More than half of the campsites have power hookups and there is a sewage disposal facility for use by registered campers. Park Lake Provincial Park is scheduled to open for the 2018 season on May 17th. Cypress Hills Provincial Park in the southeast corner of the province is a unique mixture of prairie and mountain features. This land mass is the highest spot between the Rockies and the Laurentians, giving it an intriguing mix of landscapes and wildlife. While power and water hookups are available at Elkwater, Beaver Creek and many Cypress Hills campgrounds, the experience of camping in peace and quiet off the beaten track at unserviced campgrounds like Reesor Lake or Battle Creek is a completely different world. Elkwater campground is open year round, but other Cypress Hills campgrounds open for 2018 on May 14th. 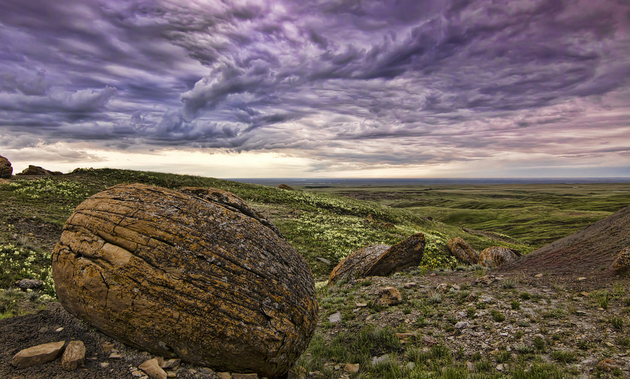 From a base camp in Cypress Hills, explore more of southeast Alberta with a day trip to Red Rock Coulee Natural Area. Located on a country road about an hour east of Cypress Hills, you enter a surreal landscape covered in perfectly round rocks. These large red sandstone concretions are an excellent example of spheroid rock formations in Alberta. They measure up to 2.5 metres across and are believed to be among the largest in the world. Make sure you have proper footwear for hiking and bring along adequate drinking water as you explore and experience this amazing wild prairie environment. Be prepared for changes in weather and watch for wildlife that includes mule deer, pronghorn, white-tailed rabbits, rattlesnakes and bull snakes. For a tamer adventure in Cypress Hills Provincial Park, explore the southern shore of Elkwater Lake along the Shoreline Trail (2.4 kilometres one way). Or drop in at the visitor centre and pick up a map detailing the scenic driving routes in the park. Watch the awakening of spring in Alberta’s Northern Rockies, a wilder version of the mountains to the south. Along the way, stay at Pierre Grey’s Lakes Provincial Park on Highway 40 between Hinton and Grande Cache. The campground opens for the season on May 16th and has 30-amp power sites. Several small lakes in this park offer campsites right near the water, where you can go paddling or fish for rainbow trout and brook trout. The park is named for Pierre Gris, who operated a trading post there in the late 1800s. Continue on to Grande Cache, a small mountain town near Willmore Wilderness Park. Catch a glimpse of this vast wilderness from Sulphur Gates Provincial Recreation Area. In addition to a small campground, and a staging area for visitors entering the wilderness on horseback, you’ll find a short trail to lookout platforms with breathtaking views of the Sulphur River canyon and the Smoky River. On your way back to Hinton, stop in at William A. Switzer Provincial Park. Considered a hub for Alberta Northern Rockies explorations, Switzer Park has a string of lakes joined by Jarvis Creek, and five campgrounds with a variety of services. Gregg Lake campground is the largest and offers power and water hookups, sewage disposal and many other amenities. Jarvis Lake campground is smaller; all sites have power and there is a great beach. Numerous trails throughout the park, a visitor centre, interpretive programs, boat launches and a stocked trout pond offer endless opportunities for outdoor recreation and relaxation. 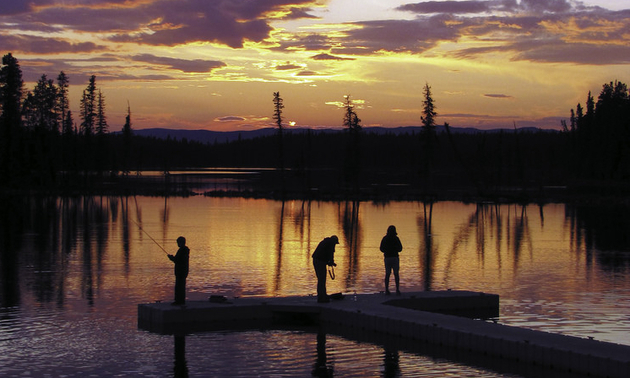 Catch a lakeside sunrise in northeastern Alberta from your campsite at Beaver Lake Provincial Recreation Area. Just minutes from the town of Lac La Biche, this large sandy fishing lake is dotted with islands and coves perfect for casting your line or exploring by canoe. In the spring songbirds and waterfowl nest in the area, and the mornings and evenings are heralded by their calls. The campground has powered sites and a shower building. Sir Winston Churchill Provincial Park is minutes away on Lac La Biche. The small campground, on an island connected by a causeway, has powered sites, a shower building and a sewage disposal facility for registered campers. The old-growth forest on the island is a birder’s paradise with common and rare songbirds, as well as waterfowl and raptors. South of Athabasca on Steele Lake is Cross Lake Provincial Park. Here all sites are powered, with amenities like showers and a sewage disposal facility. Forest trails are perfect for hiking or mountain biking and a small beach is just right for sandcastle building or launching your canoe. As with most northeastern parks and campgrounds the bird life is abundant and varied, and provides bird watchers with hours of intriguing sights and sounds. Spring and early summer are ideal for touring around the province to discover new and unique parks. Between the May long weekend and the July long weekend, many parks are quiet and uncrowded, especially between Sunday night and Friday morning. So make plans to spend some time finding your new favourite place in Alberta’s provincial parks. Check albertaparks.ca for campground opening dates, reserving a campsite or other details.